Disclaimer: As a BibRave Pro , I promote races. Learn more about becoming a BibRave Pro (ambassador), and check out BibRave.com to find and write race reviews. Use code “RNRBRP2018” to save $15 on the half marathon! Use code “BibRave” to save 10% on race entry. Use code “2018bibravebonus” to save $10 on race entry! Use code “RNRBRP2018” to save $15 on the marathon and half marathon. Use code “bibrave7” to save $7 on race entry! Use code “BRRavenswood” to score some bonus RAM Racing sunglasses! Expires two days before race day. Use code “BRP2018” to save $10 on race entry! Use code “BRCinco” to score some bonus RAM Racing sunglasses! Expires two days before race day. Use code “BibRaveRun” to save 10% on race entry! Use code “BRSoldierField” to score some bonus RAM Racing sunglasses! Expires two days before race day. Use code “BibRave” to save 10% on race entry! Use code “BRNorthShore” to score some bonus RAM Racing sunglasses! Expires two days before race day. Use code “BRBigFoot” to score some bonus RAM Racing sunglasses! Expires two days before race day. Use code “BIBRAVE20” to save 20% on race entry! Use code “RNRBRP2018” to save $15 on the half marathon. Use code “bibravevip” to save $10 on race entry. Use code "BIBPRO18" for 10% off the 10NM or 3NM (not valid on military pricing). Use code “BRMagMile” to score some bonus RAM Racing sunglasses! Expires two days before race day. Use code “RNRBRP2018” to save $15 on the full or half marathon. 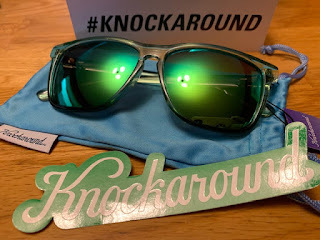 Use code “BRBucktown” to score some bonus RAM Racing sunglasses! Expires two days before race day. Use code “BourbonRave2018” to save 10% on race entry. Use code “BRPumpkins” to score some bonus RAM Racing sunglasses! Expires two days before race day. Use code “BIBRAVE2018KCM” to save 15% on race entry. Use code “BRTurkeyTrot” to score some bonus RAM Racing sunglasses! Expires two days before race day.